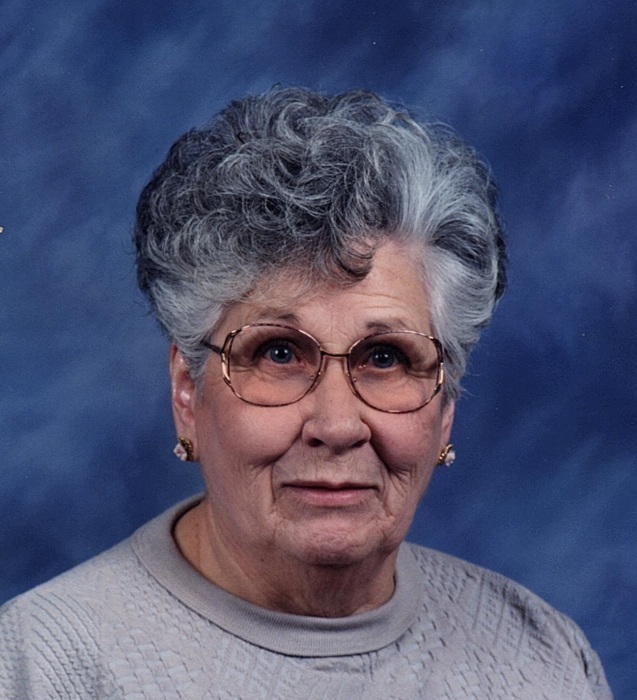 Evelyn E. McDevitt, age 96 of Chicora, PA died Saturday morning, April 13, 2019, at the home of her daughter of Worthington. She was born in Chicora Tuesday, March 23, 1923 the daughter of the late Lester Moore and the late Dora Emminger Moore. Evelyn worked at the Bantam Jeep in Butler and later was a nanny for Doctor Shoenfeld of Bruin, PA. She married John McDevitt, November 14, 1953 who died December 12, 1993. She was a member of Zion Lutheran Church of Chicora where she was a elder, a Sunday school teacher, a member of the choir, and of the Presbyterian Women. She enjoyed gardening, birdwatching, and cooking. She is survived by her daughter, Kathleen and Mark Davis of Worthington. Two grandsons: John and Kathryn Davis of Sarver, Frank Davis and Tiffany Hogan of Butler, and six great-grandchildren. She is the last surviving member of her immediate family of 4 brothers and 3 sisters. Friends received at STEIGHNER FUNERAL HOME 6-9 p.m. Tuesday, April 16, 2019 and 10 to 11 a.m. Wednesday with service at 11 a.m. also at STEIGHNER FUNERAL HOME,officiated by Reverend Mary Kitchen, pastor of the North Butler Presbyterian Church.